A REAL PAIN IN THE NECK! Pale skin… long hair… skintight black bodysuit? 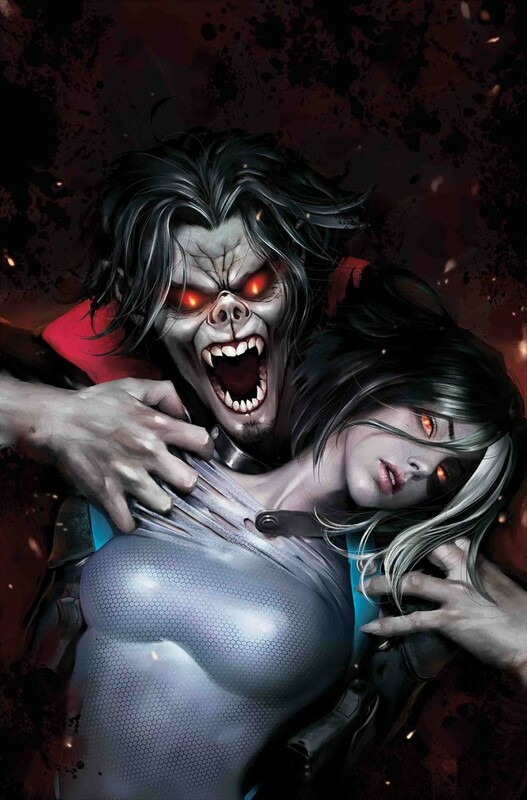 No, not Domino… it’s Morbius the Living Vampire!